CHAD DAVIS @ Gear Music: Canada's Best Online Music Store! Born and raised in Kitchener Ontario, Chad began playing drums at age 12. Quickly falling in love with the instrument, he sought out like minded musicians, gaining a wide variety of musical experiences with his peers in and out of highschool. Desiring more knowledge, Chad began studying with renowned drummer Mark Inneo to grow as a msucian. After becoming a household name among professional musicians in the K-W area, Chad moved to Toronto to further his career and studies. 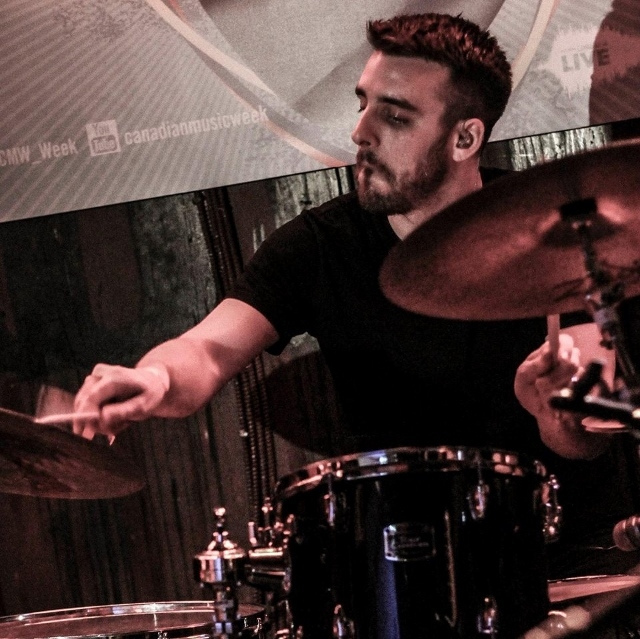 While attending Humber College for Jazz on Drum set, he began studying with national greats such as Mark Kelso, Don Vickery and Davede Direnzo, further increasing his knowledge and appreciation for his craft. Quickly making a name for himself, Chad began playing with many artist in Toronto’s Jazz and R&B clubs. Now, after finishing a 4 month contract in Thailand with the group Hitlist, Chad is currently busy with such musical groups as well known R&B group Soular and jazz/hip-hop fusion group The Disease. Chad currently resides in Toronto, and looks forward to sharing his talents, technical expertise, and progressive style with his students at Gear Music.